Overseas aims to be the preferred distribution partner in Europe, and beyond. We stand for the best multi-category product solutions for brand owners and retailers thanks to our efficient logistic consolidation system. We serve retailers with just-in-time deliveries, tailored logistic solutions and financing stock and outstanding of our customers. While brand owners can count on us for administration and risk, stock and forecast management. Our passion for duty free products drives every member of Overseas to deliver the best customer and supplier service. 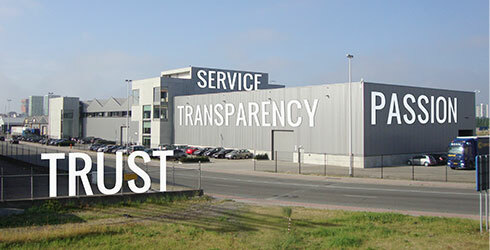 Our transparent approach is the base for our long-term vision of trust.